Abby Bandurraga: Graduate Research Assistant. Finding Our Way furthered the development of a culturally specific self-assessment tool for American Indian/Alaskan Native young people. Developed for youth ages 13-19, the tool was modified to include issues relevant to transition. Project products included training, supervision and coaching materials to improve provider practice. 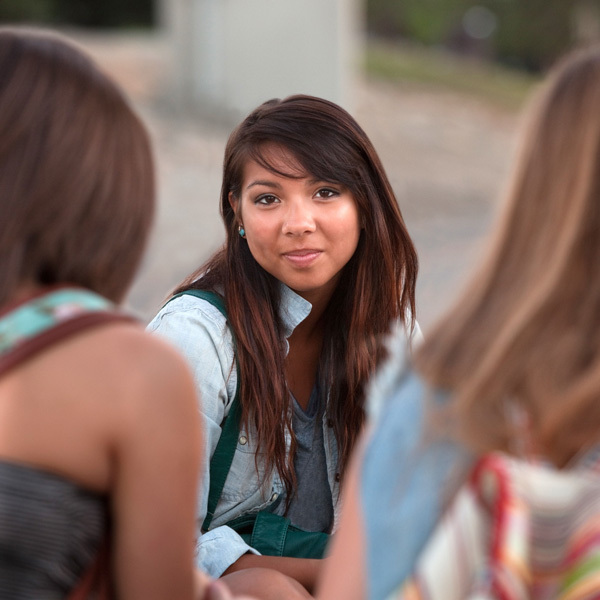 This article from The Journal of Behavioral Health Services & Research reports findings from three qualitative studies exploring supports for positive transitions of American Indian/Alaska Native (AI/AN) youth to adulthood. This guide offers practical suggestions for using the Photovoice process to get young people engaged in their communities. This chapter from the Handbook of Community Practice examines two core values of the systems of care model, cultural competence and family centeredness, and discusses community practice strategies for their implementation, also illustrating that these two principles share many common values and should be pursued simultaneously. This chapter from the Handbook of Race and Development in Mental Health describes the activities and results of a practice-based evidence project designed to develop a framework for culturally responsive effectiveness evaluation within a community agency serving urban American Indian and Alaska Native youth and families. This article published in the Journal of Ethnic and Cultural Diversity in Social Work documents how culturally appropriate research methods were used to develop and construct a valid and reliable assessment tool to measure program outcomes in an agency providing services to urban American Indian/Alaska Native (AI/AN) youths and families. This article from Best Practices in Mental Health reports on the development of a culturally grounded method for measuring outcomes and demonstrating the effectiveness of culturally specific services for Native American youth. Presented at the 36th Annual Protecting Our Children Conference, Anchorage, AK, April 17, 2018. Presented at the 27th Annual Children's Mental Health Research and Policy Conference, Tampa, FL, March, 2014. Presented at the 31st Annual Protecting Our Children National American Indian Conference on Child Abuse and Neglect, Tulsa, OK, April, 2013. Presented at the 26th Annual Children's Mental Health Research & Policy Conference, Tampa, FL, March 4, 2013. Presented at Building on Family Strengths Conference in Portland, OR, June, 2009. Presented at the 22nd Annual Research Conference: A System of Care for Children's Mental Health in Tampa, FL, March, 2009. Presented at the FFCMH Annual Conference in St. Louis, MO, December, 2006.